· The Audio Engineering Technology program at Belmont is designed to prepare graduates to seek careers in the application, installation, manufacturing, operation, and maintenance of audio and music recording, reproduction, processing, and reinforcement systems. · The Curb College of Entertainment & Music Business offers three additional degrees to students interested in music production: Music Business, Entertainment Industry Studies and Songwriting. · By the numbers: 80% overall acceptance rate. SAT Mid-ranges: CR 540-640, M 530-630; ACT Mid-range: 24-29. · The Bachelor of Arts in Music Production facilities include a fully equipped Pro Tools HD2 Accel recording workstation for students to record, edit and mix their projects. · CLU’s spring career and internship fair brings hundreds of employers to campus, including all major media outlets in the Los Angeles area. · By the numbers: 48% acceptance rate. SAT Mid-ranges: CR 500-590, M 510-610; ACT Mid-range 22-26. 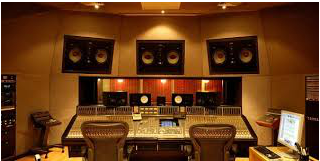 · Majors in Recording Arts at LMU enjoy a premium location near the entertainment capital of the world while taking classes in sound design, studio recording, live recording, multi-track recording, and music business. · Recording Arts students have access to fully loaded ProTools studios for both music and film post-production with plug-ins for recording and editing, a music studio with a vintage Trident 80B mixing console, microphones and outboard gear, and a live PA with a DIGICO digital console and DYNACORD speaker system for live engineering and recording. · By the numbers: 54% acceptance rate. SAT Mid-ranges: CR 540-640, M 550-650; ACT Mid-range: 25-29. · The Bachelor of Arts in Music Technology students will follow a four-year plan toward graduation that includes classes in Music Theory, Applied Music, Music History, the Science of Sound, Recording Intro, Acoustic Composition, Audio Production, and required concert attendance. · The Montana State Transmedia and Electroacoustic Realization (MONSTER) Studios are home to most music tech majors, along with MSU’s Recital Hall, Black Box Theatre and Peach Street Studios in downtown Bozeman. · By the numbers: 85% overall acceptance rate. SAT Mid-ranges: CR 500-630, M 510-630; ACT Mid-range 21-27. · The Bachelor of Music in Recording Arts and Sciences is a double major degree program that combines the courses and performance requirements of Peabody’s Bachelor of Music Program with relevant courses in electrical engineering, math, science and computer science at the Whting School of Engineering at Johns Hopkins. · Peabody students enjoy four state of the art studios, some of which were designed by Recording Arts and Sciences students, providing real world experience in recording and post-production methods. · By the numbers: 48% overall acceptance rate. SAT Mid-ranges: CR 530-660, M 510-680. Other colleges and universities with accredited music production programs are American University (DC) , Berklee College of Music (MA), Elmhurst College (IL), Full Sail University (FL), Hampton University (VA), Ithaca College (NY), Middle Tennessee State University, New York University, Oberlin Conservatory (OH), Shenandoah University (VA), St. Mary’s University of Minnesota, University of Hartford (CT), University of Michigan, University of New Haven (CT), University of Southern California. For a comprehensive list of domestic and international music production programs, visit the website of the Audio Engineering Society.